Did you try to embed the pdf file with your blogger post? 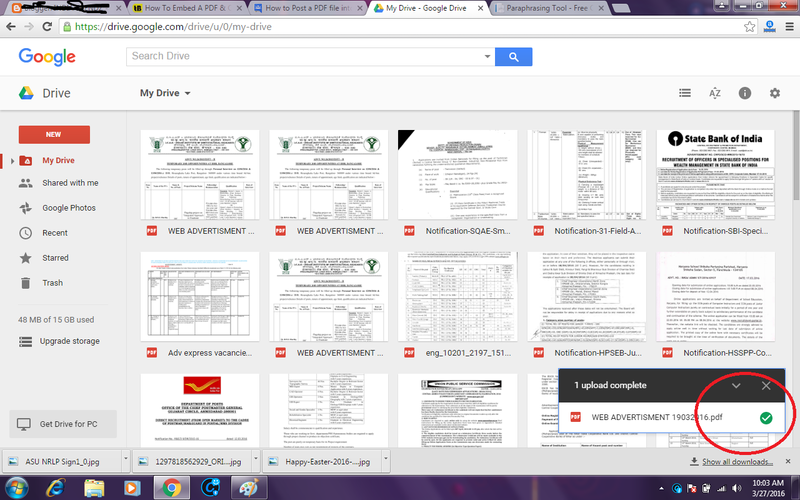 Unfortunately blogger did not support to upload the pdf files. 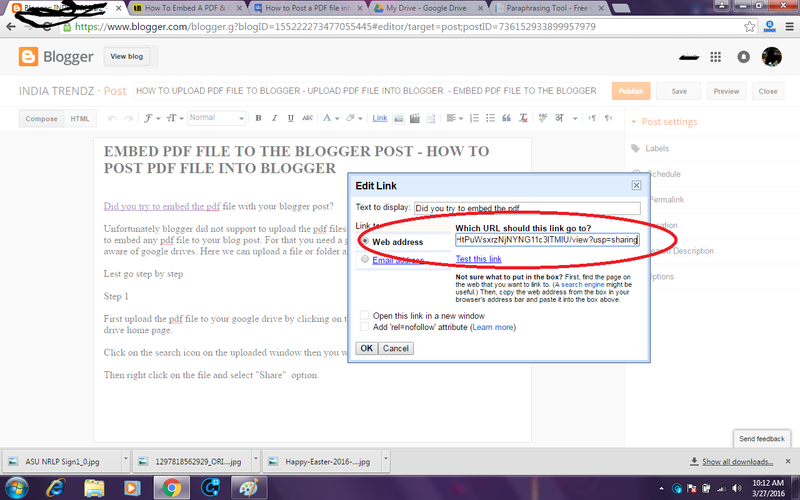 Don't be panic here I can teach you how to embed any pdf file to your blog post. 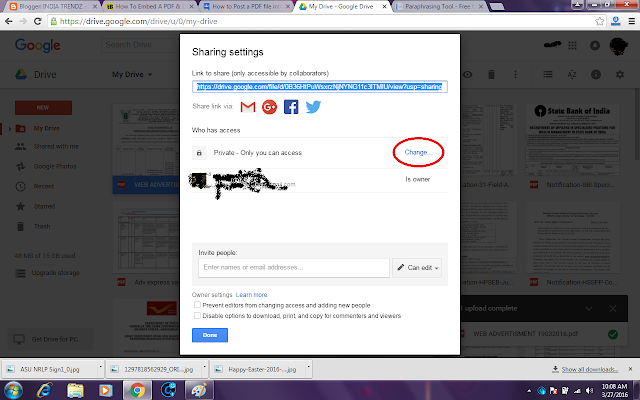 For that you need a google drive account . I hope you all aware of google drives. 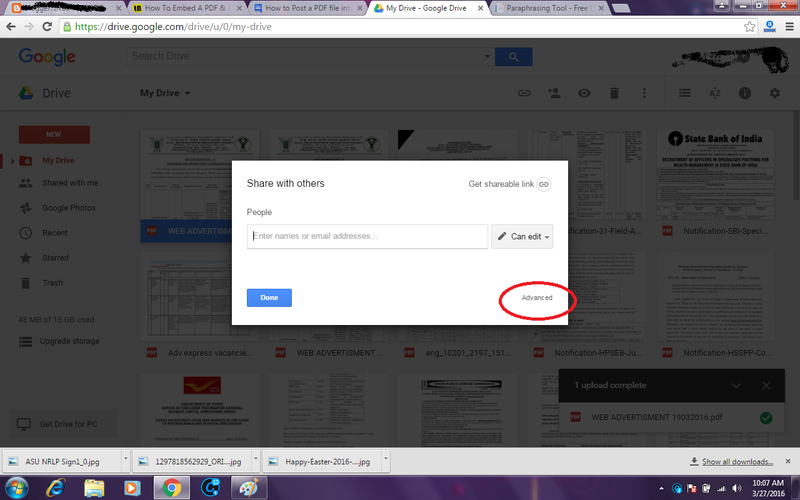 Here we can upload a file or folder and can get a shareable link. 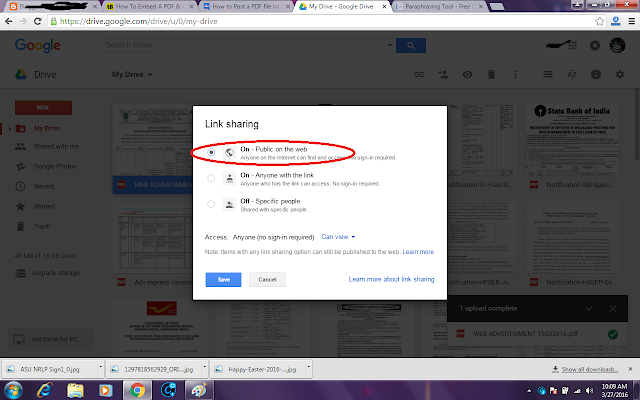 First upload the pdf file to your google drive by clicking on the NEW button on top left of google drive home page. Then right click on that file and select "Share" option. Here you have to select "advance" option. 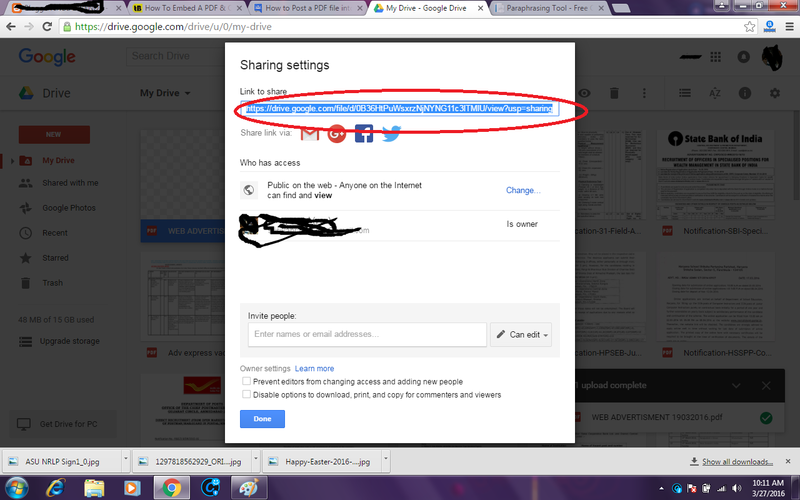 In this window you have to select "Every one on Internet"
Now you can copy the link in this window. 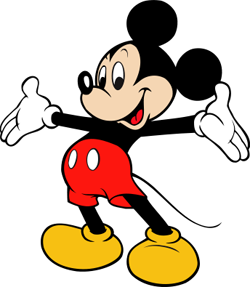 And connect to your blogger post. If any one click on this link it will navigate to New tab and opens you uploaded PDF file.